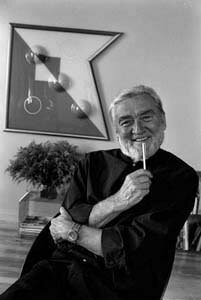 Verner Panton was a Danish designer who had a huge impact on Mid-Century modern furniture. We will explore the impact this design visionary had not only during his time, but also for generations to come. He was often described as having a colorful personality. An inspiring thinker, he was virtually unlike any of his fellow designers at the time. We will also review his most famous works and start with a background of his life. Verner Panton was born in 1929. Young Verner trained at a technical school in Odense, Denmark as an architectural engineer. After completing technical school, he then continued his study of architectural engineering at the Royal Danish Academy of Fine Arts in Copenhagen. Panton later worked in the office of architect Arne Jacobsen from 1950-1952. It is rumored that he was one of his worst employees, mainly because he was focused on his own designs. He doubtless grew tired and fed up with working under someone else’s rules. Panton swiftly launched his own design office in 1955. Truly a world-class Mid-Century modern design innovator and enfant terrible, Panton never shied away from taking bold risks with his furniture or interior design. Many of those risks were homeruns, as Panton’s design house quickly became well known for innovative architectural proposals, such a collapsible house and a cardboard house. Panton’s often-impressive architectural work is obviously overshadowed by his master as a designer. In 1958, Panton’s work as an architect was on display at the Fredericia Mid-Century Modern Furniture Fair. His Applied Art display featured his groundbreaking take on design. Panton actually showcased his furniture designs by hanging it from the ceiling of the stand. This incredible move shocked both attendees and artists at the Fair. In the same year, he even made “seats” from upholstered bent sheet metal. Circa 1960 Panton’s chair designs were even more unorthodox. People were intrigued but flabbergasted with the idea of a stackable chair with no legs or back. The Stackingchair or Schair, ended up becoming Verner Panton’s most famous and mass-produced piece of Mid-Century modern furniture. 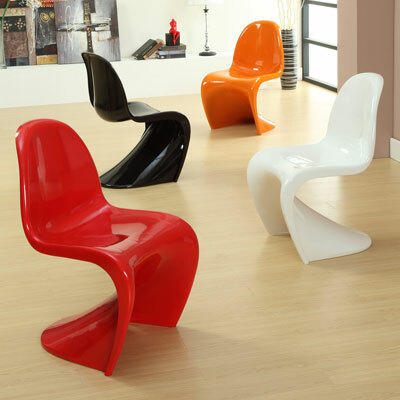 The Panton Stacking Chair (or Panton S Chair) was the first single-form injection-molded plastic chair. The Panton Chair was sleek and extremely curvaceous. 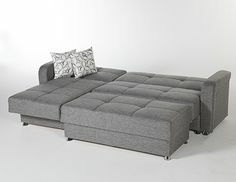 It is a classic piece of master craftsmanship in Mid-Century furniture design. It’s tough to comprehend just how many times this amazing work has been imitated yet never quite duplicated. The Design Museum reports that Panton thought of the idea for his S Chair while touring a factory producing safety helmets and buckets. In 1967, the Panton Chair went into mass production. The extremely sleek and curvaceous design was an overnight sensation. The piece has won countless awards. The Panton Chair was one of the first chairs exhibited in the Museum of Modern Art in New York. Hipsters absolutely loved the Panton S Chair back then and many people still do today. The Panton Chair is so versatile that it is somehow still contemporary. This is a staple of a benchmark work from a master of his craft. This piece would go great with an oak dining table, at an art gallery show, or even for your backyard BBQ. Many people were experimenting with a lot of various mind-altering substances in the 1960′s. Throughout his life, but during the 60′s and 70′s in particular, Verner Panton was passionate about experimenting with interior design and modern furniture. Panton was bored to tears with the traditional room division into three sections: floor, walls and ceiling. Because of this, Panton’s main design goal became achieving a holistic cohesiveness of a room. His use of wildly vibrant colors, patterns, and luminaires as wall and ceiling coverings always tied rooms together. In his prime, Panton was a main contributor to an ultra-sleek new style that mirrored the “Space Age” of the 1960′s. Panton’s chairs rarely had traditional legs. Because of this, critics have suggested that they should be called ‘seats’. This Mid-Century modern design style then became known as Pop Art. Back in those days, Panton is also credited for creating the first-ever inflatable furniture. Panton has been called the Andy Warhol of Mid-Century modern furniture design. He is also known for his unique sculptural lighting in plastic and Capiz shells. His designs appeared UFO-like. He employed plastic balls and brightly colored or shiny twisted strands of plastic because he believed that a design of a lamp should ideally obscure its light source. Panton’s futuristic Pop Art design lost a lot of popularity in the 1970′s and 1980′s. But then with a surge of “old is new again” in the 1990s, the S became back in style as Mid-Century modern became newly hip and fashionable. Winning even more awards for the design, the S Chair was put back into mass production at that time. He was even invited to design an exhibition in his honor in Copenhagen in 1998. Tragically, Verner Panton died a mere twelve days before the exhibit was scheduled to open. Even to this day, if you drop the name Verner Panton to most designers, you’re likely to be met with a huge grin. Panton inspired creativity and playfulness in his work, yet maintained an elegance and functionality that easily made his S Chair a welcome addition to many homes and offices. Anytime you watch a movie set in the psychedelic 60′s you’re almost certain to see some of Panton’s designs. Hollywood production companies, big name corporations, and small town coffee shops alike all look to buy the S Chair for its aesthetic appeal and sheer functionality. This entry was posted on Thursday, March 19th, 2015 at 3:50 pm	and is filed under Mid-Century Designers. You can follow any responses to this entry through the RSS 2.0 feed. Both comments and pings are currently closed.